The Rocky movie series has already undergone several metamorphoses. It started as a relatively grounded movie about a down on his luck boxer before morphing into that same boxer’s larger than life tales as the World Champion and then cratering into whatever the hell Rocky V was supposed to be and finally becoming the mournful dirge of Rocky Balboa, with its ruminations on loss and life. All of the movies, save V, have something to offer. And presented over the Creed represents in some ways the biggest departure for the series, but is actually more like the original than any film that followed it. The biggest change with Creed is right in the title. This is not a movie about Rocky Balboa, as all the previous films have been, but a movie with Rocky Balboa. It uses the history and characters of the series as its structure, but it turns the whole thing into a cycle. 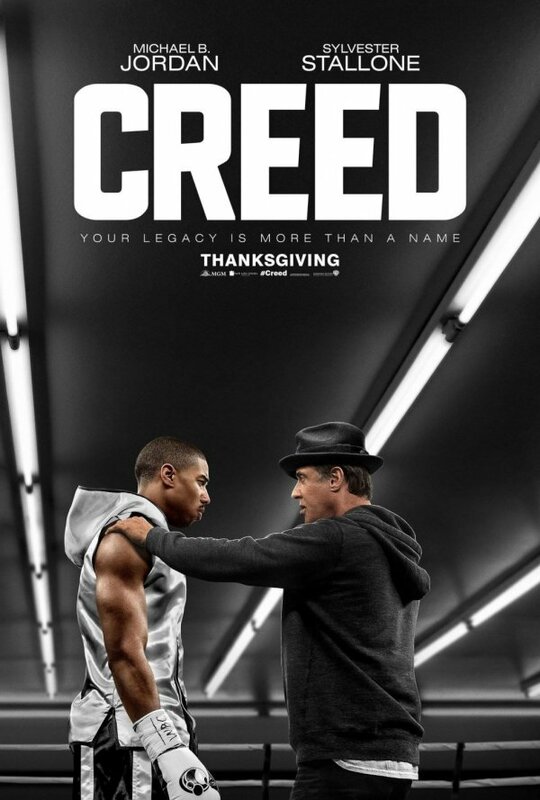 At the risk of spoiling the whole thing, Creed is built on a more than similar framework to Rocky. For large parts it is beat for beat identical, the biggest difference being that starting situations of the two title characters. Adonis grew up with his father’s wife, notable not his mom, in relative luxury instead of Rocky’s rather impoverished roots. Still, the story hits a lot of the same beats, though it does it with style and emotion. It is a sports movie, viewers will know the formula, but Creed executes it nearly perfectly. It works because it nails the psychology of is characters. Adonis feels like something of an imposter, growing up in the shadow of a father he never met. His forays into boxing are both about proving that he belongs and a way to connect with that father. Rocky, meanwhile, has all but given up. He is still the charming guy he has been for six movies, but his friends are all gone and even his son has moved away. He is an old man that doesn’t feel he has a lot to live for. Creed works on its own merit. Knowing who Rocky is previously isn’t necessary. There is little here that isn’t explained in the film itself. However, the previous six Rocky movies work form a lot of context that helps speed things along. Knowing who Adrian was isn’t necessary, the movie makes it clear she is Rocky’s deceased wife, but having watched her in previous Rocky movies makes the scene of Rocky sitting in the cemetery reading the paper to her grave all the more effecting. It is very satisfying to see Rocky move on from the ring and fully become Mick. He is now the one telling the youngster that women weaken legs. Everything has come full circle. If there is one flaw to this movie, other than its predictability, it is that they again used a real boxer for Creed’s eventual opponent. It is not that Tony Bellow did a bad job as desperate champion Ricky Conlan, but the filmmakers were wise enough not to rely on his performance outside of boxing. Instead, the always delightful Graham McTavish does most of the work for the opposite corner. A big part of the appeal of Rocky was the in how appealing Creed was as an opponent. Carl Weathers was a perfectly charming Ali-type champion for the lower key Rocky to work against. Bellow doesn’t really provide that. Also, by having a real boxer as the opponent creates a visual mismatch with them in the ring. Michael B Jordan as Adonis has very showy muscles, Bellow doesn’t. It is a little distracting. The formula that produced the first Rocky is a good one, and Creed recreates it almost perfectly. There are just enough new touches to keep things interesting, even if they never stop being predictable. You may know the beats as the come, but when they are hit with as much skill as they are here you can’t help but be moved. Creed is an excellent movie, one that stands with the first Rocky in the pantheon of great sports movies. Hi skoce I have been a long time fan your work is an inspiration every one. I love your reviews.